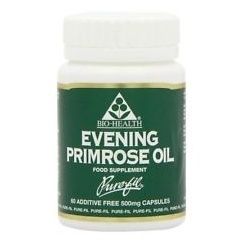 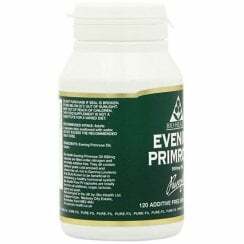 Evening Primrose Oil is an important source of Gamma Linolenic Acid (GLA) which is a form of Omega 6 fatty acids. 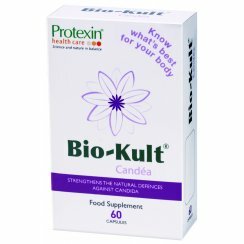 This omega 6 fatty acid helps to reduce inflammation by converting GLA into the powerful anti-inflammatory chemicals known as prostaglandins. 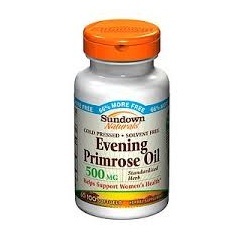 Evening primrose oil helps to improve many PMS symptoms in women such as headaches, depression, bloating and irritability. 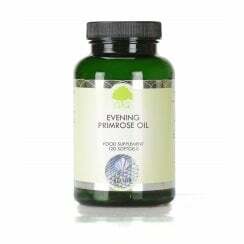 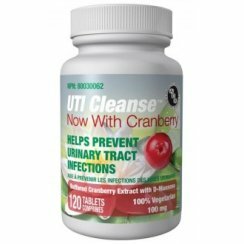 It plays essential role in case of heavy menstrual bleeding due to the omega 6 fatty acids. 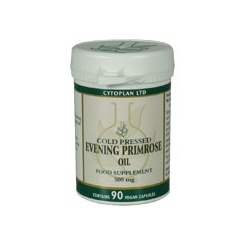 Scientific data has also shown that GLA in Evening Primrose Oil helps to reduce the pain and tenderness associated with pre-menstrual breast pain and fibrocystic breasts. 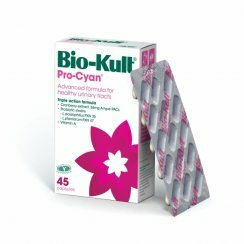 GLA also works as nutrient for the skin health. 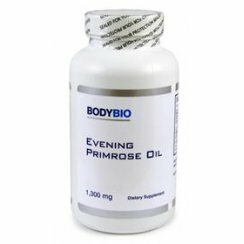 Conditions like eczema and dry skin can improve with the use of evening primrose oil and borage oil which are sources of GLA.